RALEIGH– Robert “Bob” Duke Jenkins, Sr., 74, passed away Saturday, Dec. 28, 2013, in Raleigh. He was born in Waynesboro, Va., on March 18, 1939, to the late Robert Ulysses Kline Jenkins and Betty Duke Jenkins Edman.He is survived by his son Robert Duke Jenkins, Jr. (Debbie Tullos) and grandchildren Hamilton Tobias “Toby” Jenkins and Bailey Quinn Jenkins; sister-in-law Evelyn Langston Phillips and brother-in-law Bryant Cameron Langston, Jr. (Wanda); and many nieces and nephews.He is preceded in death by his wife, Sarah Louise Langston Jenkins; his parents, Robert and Betty and his stepfather Donald Howard Edman; his mother and father-in-law Lena Rivers Fields Langston and Bryant Cameron Langston, Sr. of Kinston; and his brother-in-law John Jay Langston (Brooks Langston), and brother-in-law Dave Phillips.Upon returning from service in the United States Army, Bob was reacquainted with the woman who would become the love of his life, and in 1966 he and Sarah were married. He then attended Virginia Tech, where he received an engineering degree in 1969. He worked for the N.C. Department of Transportation as a transportation engineer for 31 years until his retirement in 2000. Bob felt a calling to work with youth, which he did through the Boy Scouts of America, serving in many positions including Scoutmaster and Woodbadge Instructor. He received the Piedmont Council’s highest honor for Scouters, The Silver Beaver. 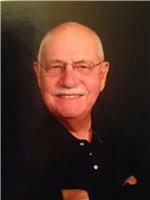 Bob was active in the National Exchange Club, the Cleveland County Amateur Radio Service and at Aldersgate UMC in Shelby. Bob’s legacy of generosity is a shining example of how we can make a difference in the world, one kind gesture at a time. He gave freely with an open heart, and always wanted to pay for your supper.Funeral service: 2 p.m. Saturday at Aldersgate UMC, 1207 W. Dixon Blvd, Shelby, N.C. 28152Memorials: Donations in his memory can be made to Aldersgate UMC c/o the Youth Ministry.